In the restaurant and hospitality industry, there is a constant push to elevate food and beverages. Whether it’s eye-popping latte art or platings that look like they belong in the Louvre – the dining experience is constantly turning toward an artistic bent. However, it’s not just art on the plate or in the cup where expectations are being raised. Diners are seeking more than a meal when they go out – they are anticipating an experience. That’s why art is becoming an important part of the atmosphere when dining out. 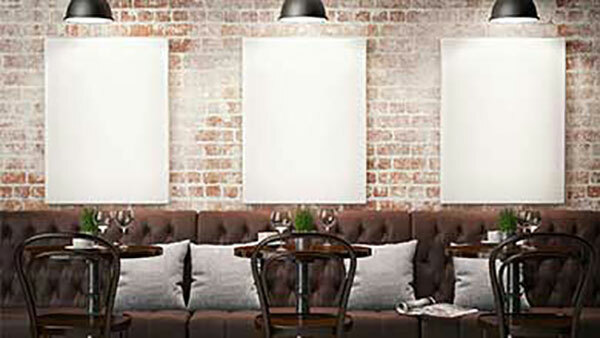 Whether you’re looking to customize the look and feel throughout your space for brand differentiation or turn your walls into a bona fide gallery that features local artists – the push toward addressing atmosphere in the dining experience is definitely front and center. Take a look at Tijuana Flats, a Tex-Fresh restaurant that started in Florida – and has always had a self-proclaimed “anything goes” artsy approach to their wall art. Their bright, vibrant surroundings celebrate their fun-loving atmosphere and commitment to getting “in touch with your inner weirdness.” Even their customized Vio™ biodegradable* foam cups tell a little bit of their artful story and draw customers back time and again. Art and the food industry have always had close ties, but it’s wonderful to see how that relationship continues to evolve and excite. When Vio learned about world-renowned artist Cheeming Boey, and his remarkably detailed and stunning works of art on foam cups – it was clear to see just how close art had gotten to home. After marveling at the amazing artwork of Boey, Vio invited him to the 2016 National Restaurant Association Show to do live-drawing at the Vio booth and remind people just how intertwined art and food can be. Whether you’re a large chain or a stand-alone shop, art has the ability to engage your customers. An atmosphere that speaks to your brand and enlivens the spirits of your guests is one that is sure to become a favorite. Go ahead, get in touch with your artistic side and watch the business side flourish. Find a local artist or possibly even a member of your staff to create brand-appropriate murals for your walls, or create a one-of-a-kind sculpture – like artist Tara Donovan who uses everyday materials to create masterpieces. Get in touch with your arts council to talk about featuring local artists’ work – either long term or on a rotating basis to keep things fresh. Curate artwork and interesting objects from antique stores or salvage markets to give your space new life. Host an art show or fundraiser to support the arts in your area. Customize your to-go containers with your distinctive brand assets; the messaging travels home with your guests and reminds them to return.